Many services throughout the week to choose from. Sunday 8am – This is a quiet, reflective, and simple service of prayer and holy Eucharist, following the traditional Anglican rite. Sunday 10:00am – with choir and music, Sunday school and children’s activities, a meaningful message and the Communion of bread and wine, our main worship service of the week is vibrant and engaging, allowing people both to actively participate as well as to quietly receive the strength, prayers, and guidance that they may need in their work, responsibilities, celebrations and joys. Wednesday Evenings: A fresh and refreshing evening worship service, featuring the power of prayer through a variety of contemporary music styles. Advent Café is every Wednesday at 7pm in the “Bear’s Den.” Enter through the side entrance (West side) through the Meditation Garden – Look for the signs! Noon Hour Services: Wednesday & Thursday at 12:10pm Take your lunch hour as a time of oasis and re-centering in the midst of busy-ness and challenge of life. Held in the “Bear’s Den,” 7pm on Wednesdays, featuring a heavy emphasis on prayer through the power of music in a variety of musical styles. Why is it called “Advent Café”? Because Advent is a year-round attitude of watching for God to bless us and preparing our hearts to say “yes” in serving God. As parents ourselves, we know that bringing little ones to church can be a challenge. We also know that the desire to raise our children in the faith can be a significant motivation in connecting once again with a church. At St. George’s, we want to make church-going a viable and nourishing options for young families. Children are always welcome in our church services and there are many ways for them to become involved, to find that they, like all of us, have much to receive from and a great deal to offer to our church family. We have a responsible paid caregiver during the 10am worship service. Sarah is trained in First Aid and has a wonderful way with children. If you are leaving your child in our care, please also leave supplies and instructions for feeding and diapering. Babies and children also may, of course, choose to remain with their parents or guardians in the church service. Once a month, we have an inter-generational worship service that is designed to appeal to children and adults alike. The children are strongly encouraged to participate in the leadership of these services and help us all to understand the story and tradition of our faith in new ways. 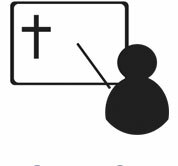 We have Sunday School classes geared toward the needs and interests of each particular age group. Through arts, crafts and games, or music, storytelling and acting, our talented team is committed to helping our children connect their lives with the teachings of our faith tradition and foundational Bible stories. Most importantly, our children are valued as full members of our community, and like all of us, are discovering the JOY of friendship and service and relationship with God in a community of faith. 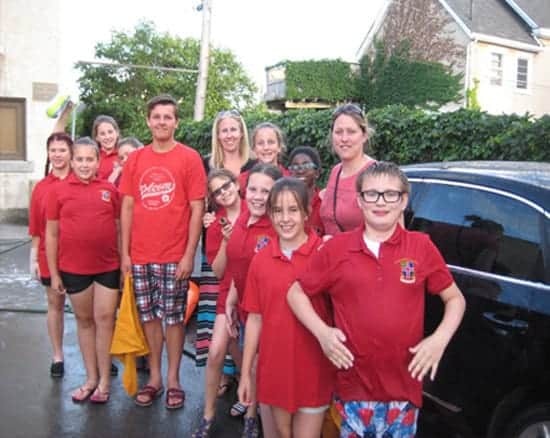 Under the leadership of Tanya Schleich, our Youth Group offers a full schedule of fun activities to connect our lives with God, one another, and service in our community and world. Do you play an instrument? Sing? Looking for a musical experience in more of a rock, jazz, bluegrass, or folk idiom? We have several new musical ensembles in our Wednesday evening worship service, Advent Cafe. Let us know about your passion! Enjoy a night out – as a family, or as one who looks forward to meeting up with friends and getting to know new people. I will pour out my Spirit upon all people. Your sons and daughters will prophesy. Your old men will dream dreams, and your young will see visions. whether exploring a topic of particular relevance, looking at a specific book of the Bible, or reading a modern Christian author, we connect our Faith to the concerns of our lives Here and Now. Inquire at our Church Office regarding schedules of topics. explores core Bible stories in fun and meaningful ways.